Karnataka Election Results 2018: The BJP on Tuesday emerged as the single largest party with 104 seats in the 224-member House. The Congress, in second position, won 78 seats while the JD(S) won 37. A little after 9 am on Thursday, BJP’s BS Yeddyurappa took oath as chief minister of Karnataka at a small ceremony in Raj Bhavan. 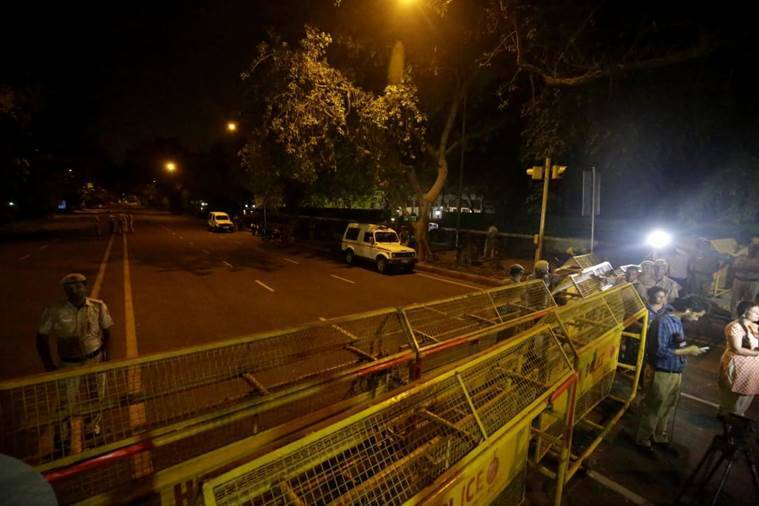 The swearing-in comes following a midnight to dawn hearing in the Supreme Court, which took up petitions filed by Congress and Janata Dal (Secular) seeking a stay on the swearing-in. The court observed that it could not act on the Governor’s decision based on mere speculation. The bench will now take up the matter for hearing on Friday. The BJP, which secured 104 seats in the 224-member Karnataka Assembly, emerged as the single largest party but fell short of majority. The party was invited by Governor Vajubhai Rudabhai Vala on Thursday to form a new government in the state, and given 15 days to prove its majority in the hung assembly. 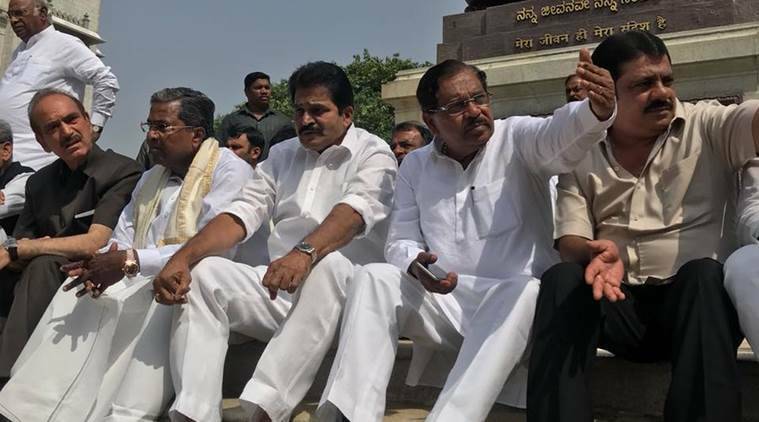 The Congress-JD(S) combine — which has 115 MLAs in its kitty — had approached the Governor to form the government on Thursday. No single party was able to win a majority of 113 seats in the Karnataka Assembly elections, paving way for frantic negotiations and post-poll alliances since Tuesday. The BJP won 104 seats, the Congress 78 seats, and the JD(S) 37. Here are the highlights of the Karnataka elections results — from the first hour of counting to the swearing-in ceremony. You can also read it in Malayalam, Bengali and Tamil. In his first remarks as Chief Minister, B S Yeddyurappa says, "Despite being rejected by the people, Congress and JD(S) have formed an unholy alliance. People will not accept this." He also expresses confidence of winning the floor test. "I am sure MLAs will vote according to conscience, '' he adds. The Congress is staging a protest outside the Vidhana Soudha (Karnataka Assembly) against the swearing-in of BSY. 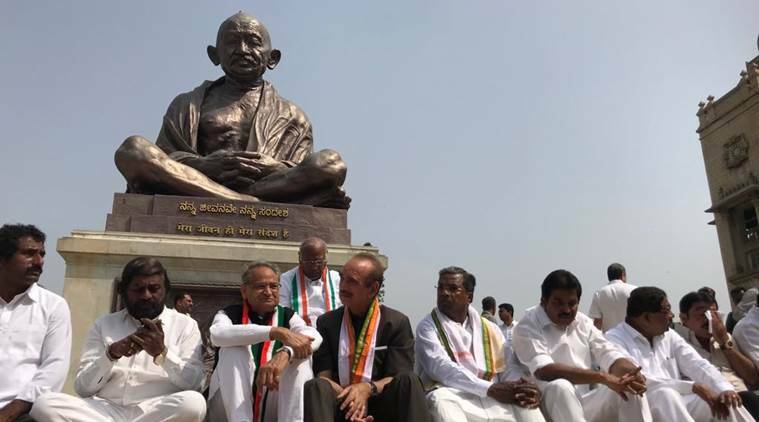 Among those present, is former CM Siddaramaiah and Ghulab Nabi Azad. Here are some pictures. BJP's tallest leader in Karnataka, BS Yeddyurappa, took oath as chief minister of the state at a ceremony held in Raj Bhavan this morning. The Governor had, last night, invited Yeddyurappa to form government. The BJP emerged as the single largest party but fell short of a majority. The focus now shifts to whether the party can prove its strength on the floor of the House. Congress chief Rahul Gandhi says India "mourns" the defeat of democracy as BJP celebrates its victory. He tweets, "The BJP’s irrational insistence that it will form a Govt. in Karnataka, even though it clearly doesn’t have the numbers, is to make a mockery of our Constitution." BJP's BS Yeddyurappa will be sworn in as chief minister of Karnataka at 9 am this morning. He was invited to form the government in the state by the Governor on Thursday. The BJP now has 15 days to prove its majority on the floor of the House. The Congress and JD(S), which approached the Supreme Court challenging the Governor's decision, called it partisan and biased. BJP counsel, Mukul Rohatgi said that Goa case is absolutely different from what is happening in Karnataka. In Goa, the SC upheld the Governor’s invite to BJP leader Manohar Parikkar who led the post-poll coalition is different from Karnataka situation. In Goa, the single largest party did not stake claim to form Govt, Rohatgi pointed out. 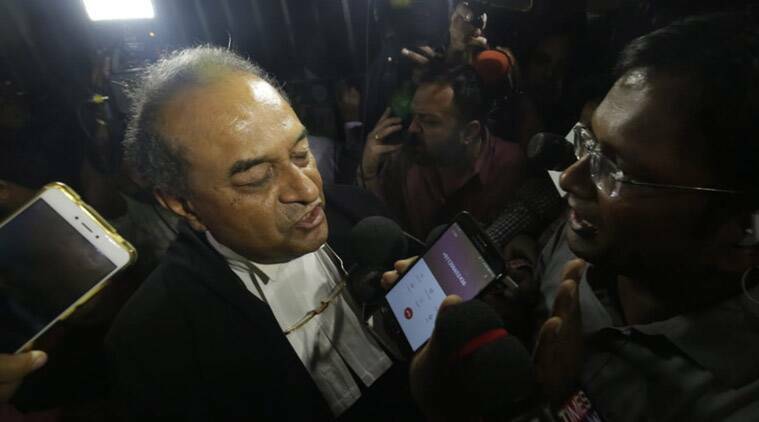 Mukul Rohatgi says the effect of the relief sought by the petitioners will be interdicting the Constitutional duty of the Governor under article 164 which deals with the power of Governor to appoint CM and council of ministers. Continuing the argument, Congress Counsel Singhvi said, "it won’t be the right thing to do. Swearing in can be deferred from 9.30 am to 4.30 pm. It will be difficult to unscramble later"
The Supreme Court has not dismissed the petition filed by Congress and JD(S). It said, "this petition is a subject of hearing later on". The apex court also issued a notice to respondents including BJP's BS Yeddyurappa, asking to file a reply. The three-judge bench of Supreme Court refuses to stay swearing-in ceremony of BJP's BS Yeddyurappa as Karnataka Chief Minister but it will be subject to outcome of writ petition filed by Congress & JD(S). Please dismiss this petition. They want an injunction to stop discharging function of one of the highest constitutional functionary. Larger questions is that can it be stalled? : Mukul Rohatgi, BJP's lawyer. It's Governor's job to invite to oath. The President and Governor are not answerable to any court. The court should not stop a constitutional functionary in the functioning of his official duties, he added. The petitioners are trying to stultify a democratic process. Hence, the petition should be dismissed, he said adding it is completely misconceived. "In a case like this where the opposite side is showing 117 MLAs support, how will you have the support of 112 MLAs?," Justice AK Sikri asks AG KK Venugopal who is arguing for the Union government. Justice SA Bobde said, "we do not know what kind of majority BS Yeddyurappa has claimed. Unless we see that letter of support, we cannot speculate." Countering this, Congress Counsel Singhvi said, " Yes you can’t on mere speculation, so postpone the swearing in by two days." 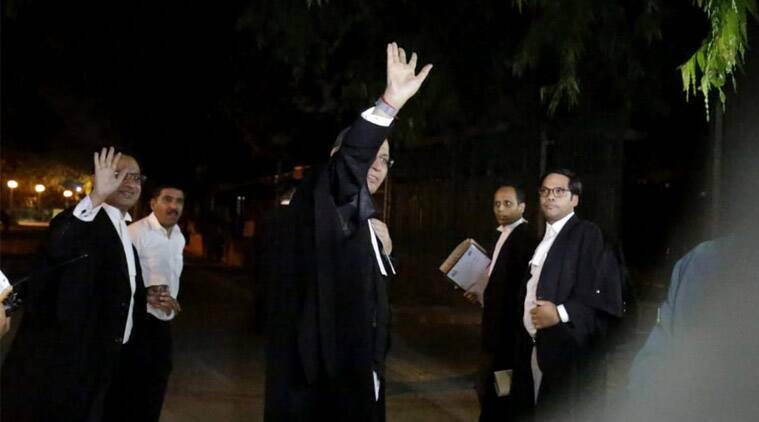 Mukul Rohatgi said that the hearing shouldn't have been taken up at midnight. " Will heavens fall if somebody is sworn in? I was woken up from sleep at midnight. This petition should never have been taken up at midnight." 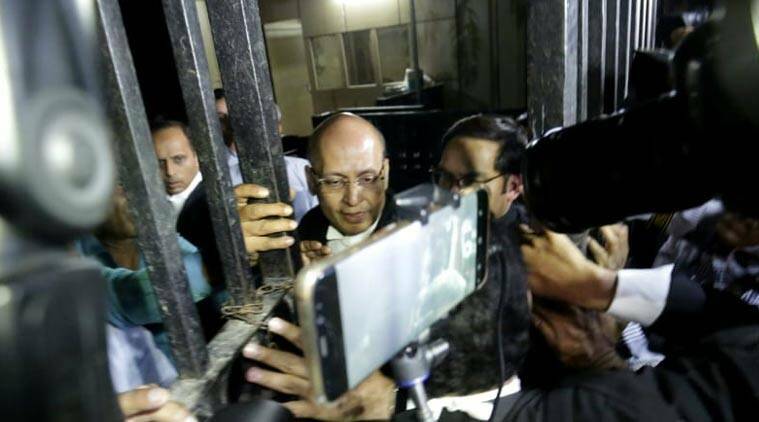 Irrespective of merits, the fact that three judges of the SC can sit at 2 in the night and hear the matter is a victory for democracy, said Singhvi. He added saying that the swearing-in should be put on hold until the matter is solved, 'Swearing-in ceremony can be held the day after tomorrow,' said Singhvi. Someone said we are giving horses a bad name by calling it horse trading. We are trading humans and calling it horse trading, says Singhvi pointing out that long time given for proving majority will encourage poaching. 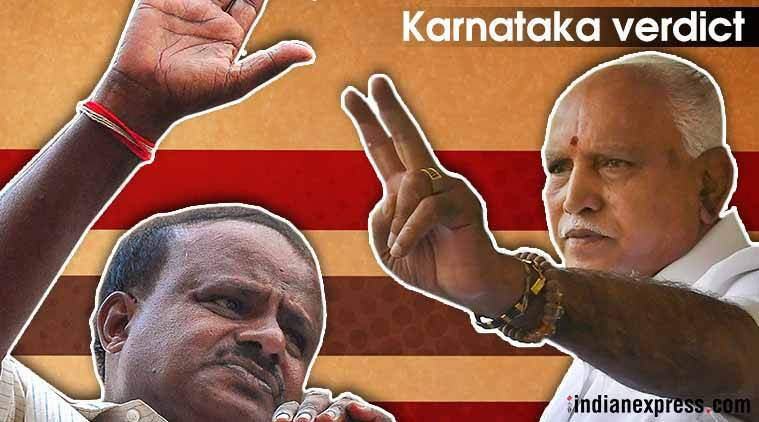 Yedyurappa has staked claim to form Govt as leader of only his own party BJP while Kumaraswamy has staked claim as leader of a coalition of his party and Congress, he added. Countering Mukul Rohatgi's objection that the order of Governor cannot be restrained by a judicial order, Singhvi says that even imposition of president’s rule under article 356 is subject to judicial review and wonders why the Governor’s decision cannot be subjected to judicial review. At the midnight hearing, the Supreme said to the Congress, "How can we review the decision of the Governor, when you don't have the letter of Yeduyarappa submitted to the Governor"
Citing Sarkaria Commission Guidelines, Abhishek Manu Singhvi, arguing for the Congress on Tuesday said, Congress legislature party passed a resolution supporting JD(S). HD Kumaraswamy submitted 37 MLAs signatures to the Governor, supporting Congress. It is completely unconstitutional that with just 104 MLAs with BJP, the Governor has invited BJP leader BS Yeddyurappa to form the government. Raising preliminary objection, Mukul Rohatgi representing Centre says, order of Governor cannot be restrained by a judicial order. There cannot be injunction against Governor's order, he added. The Congress and JD(S) in its plea to SC.. The Congress and JD(S) in its plea to the Supreme Court stated, "Court may pass an order declaring order of Governor inviting BS Yeddyurappa to form govt as unconstitutional and quash the same, or, pass direction to Guv to invite alliance of INC & JD(S) which has support of more than 112 MLAs to form gov." According to Senior advocate Mukul Rohatgi, "Guv has the discretion to call the largest party and he has done so. If single largest party won't be able to form govt, other parties will be called. In case of Goa elections, single largest party Congress had not presented its side, that's the difference." Additional Solicitor General Tushar Mehta, arguing for the centre and senior advocate Abhishek Singhvi has reached courtroom number 6. The hearing will begin shortly. The petitioners are G Parameshwara, President, Karnataka Pradesh Congress Comm & HD Kumaraswamy, President, Janata Dal (Secular). The petition submitted states that decision of the Governor is tainted with arbitrariness and against the Article 14 of the Constitution. Congress leader Abhishek Sanghvi tweeted ssaying, " Irrespective of merits, Supreme Court found sufficient urgency to list the matter 145 pm. This shows that system works irrespective of merits in getting large wheels to move at very short notice with regard to technicalities." Constitutional expert Subhash Kashyap says in a quote to ANI, "It depends on Governor's discretion. Constitution provides them complete power to appoint anyone the CM, but Guv is expected to choose the person, who in their judgement, is in a situation to gain majority in the assembly." BJP has 104 seats, how will they prove majority on floor? 'BJP has 104 seats, how will they prove majority on floor, even if they get some independent MLAs? Only way out is to bring Cong & JD(S) MLAs with them,either by using muscle power or buying MLAs. We have filed a petition urging Guv to give us a chance,' says JD(S) and Congress' lawyer Javed in a quote to ANI. Meanwhile, Union Minister Prakash Javadekar who arrived at the residence of BS Yeddyurappa said in an affirmation that BJP can prove majority as they have the number of MLAs. "Definitely, we have. You will see it," he said. "We will not let it go easily...", a furious Kumaraswamy said shortly after the governor wrote to Yeddyurappa asking him to take oath. Kumaraswamy said the governor should have given three or four days time for Yeddyurappa to prove his majority. The Congress also launched a fusillade against Vala at a press conference, with Congress' chief spokesperson Randeep Surjewala dubbing him a "stooge" of the BJP and accusing him of “encountering” the Constitution at the behest of Prime Minister Modi and the BJP chief. The results of the Karnataka Assembly Elections 2018 were announced on Tuesday for 222 of 224 seats. The BJP secured 104 seats to emerge as the largest single party, The Congress, which swept the state in 2013 winning 122 seats in the House, won only 78 seats. The JD(S), which emerged as a key player in the polls, won 37 seats. The Congress moved swiftly yesterday to cobble up an alliance with the JD(S), offering unconditional support to JD (S) leader H D Kumaraswamy. The BJP, which has been invited to form the government in the state, has 15 days to prove its majority on the floor of the House.